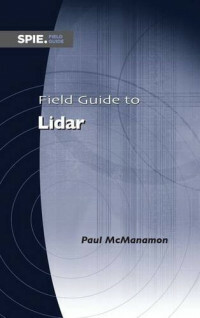 This Field Guide covers the various components and types of active electro-optical sensors referred to as lidars in the text from simple 2D direct-detection lidars to multiple subaperture synthetic aperture lidars. Other topics covered include receivers, apertures, atmospheric effects, and appropriate processing of different lidars. Lasers and modulation are presented in terms of their use in lidars. The lidar range equation in its many variations is discussed along with receiver noise issues that determine how much signal must be received to detect an object. This book is a handy reference to quickly look up any aspect of active electro-optical sensors. It will be useful to students, lidar scientists, or engineers needing an occasional reminder of the correct approaches or equations in certain applications, and systems engineers interested in gaining a perspective on this rapidly growing technology.